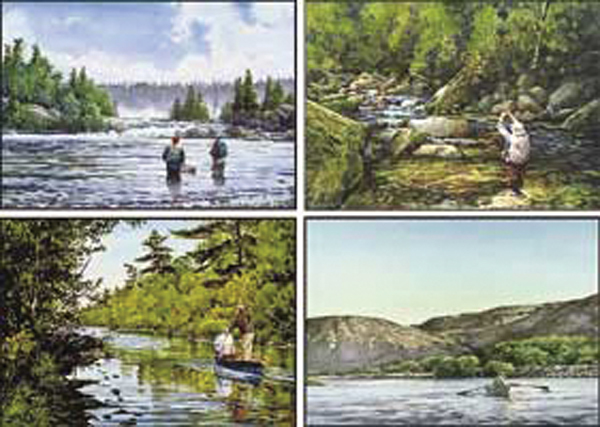 Artist Bob White's rich watercolors capture the beauty of the places we love to fish. This elegant set of 16 note cards contains 4 different images with envelopes. Size 5" x 7".